The deer in our neighborhood of Victoria (the Mt. Tolmie black-tailed deer) have shown no interest in these blooms. An added bonus is that all 5 picks have proven themselves drought tolerant through our long dry summers (even 100 days without rain). 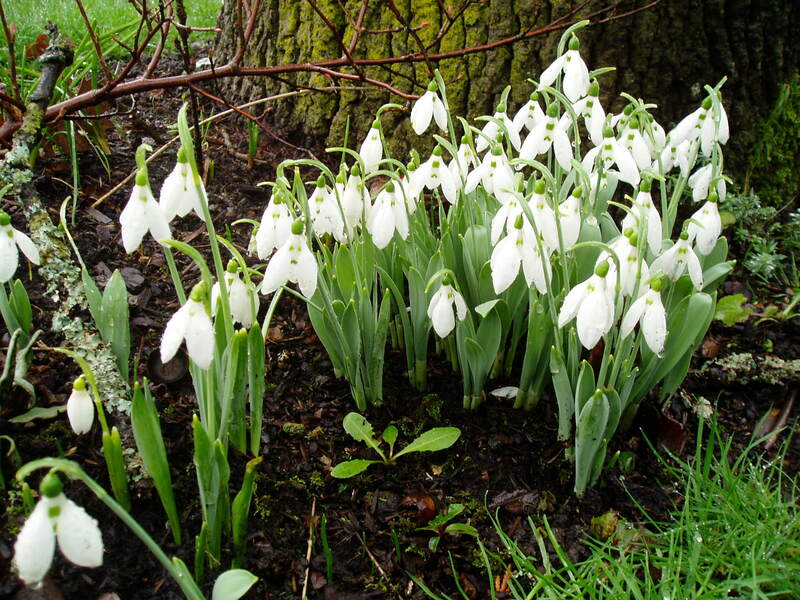 1- Snowdrops (Galanthus) bloom as early as December, but are more common in January. – Divide snowdrops during their bloom instead of after the leaves die back. 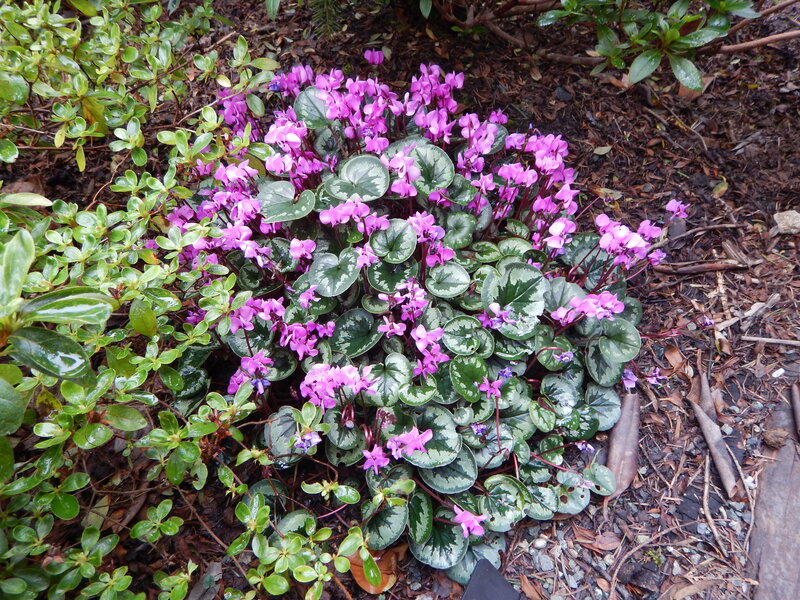 2- Cyclamen coum present foliage in September, and often bloom from December through March. – The autumn-blooming Cyclamen hederifolium is a bully that will out-compete C.coum (and most other hardy cyclamen). I avoid planting the two in the same bed. – Ants are purported to spread the seeds. In our natural park areas, cyclamen are unwelcome. I can think of several other foreigners that would make my list long before Cyclamen. 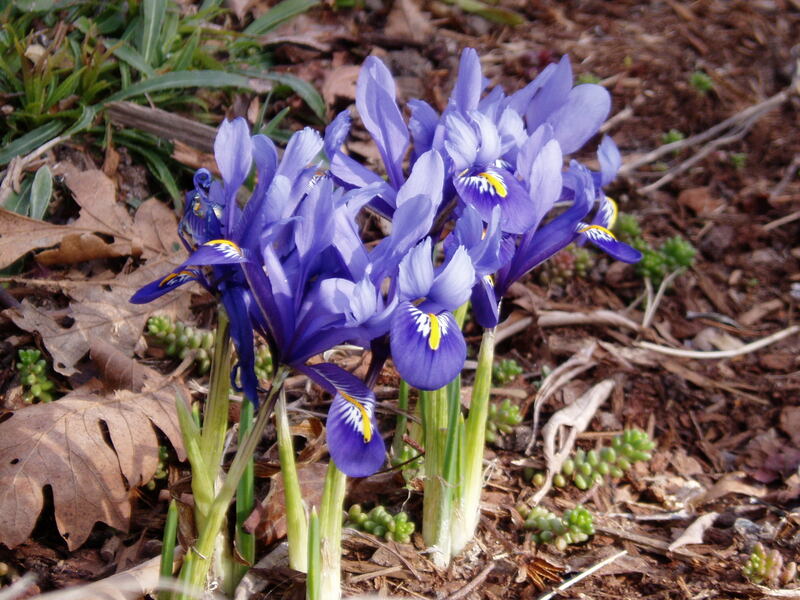 3- Reticulated Iris (Iris reticulata) is another exotic looking surprise in the February garden. 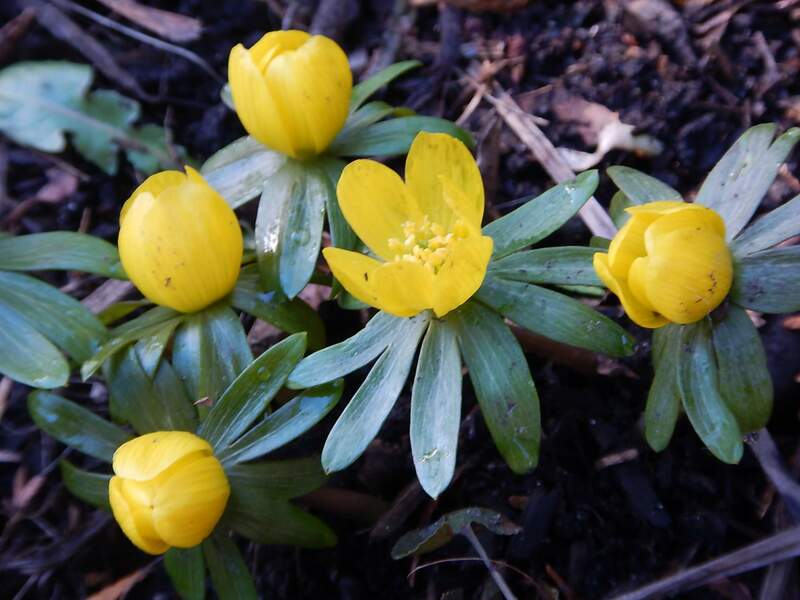 4- Winter Aconite (Eranthis hyemalis) the blooms appear in January & February, just before leafs join the show. – The only way to divide these beauties is during their growing season. The corms look like tiny clumps of dirt, so they’re impossible to find during dormancy. Sometimes I’ve shifted them unknowingly while moving something else. 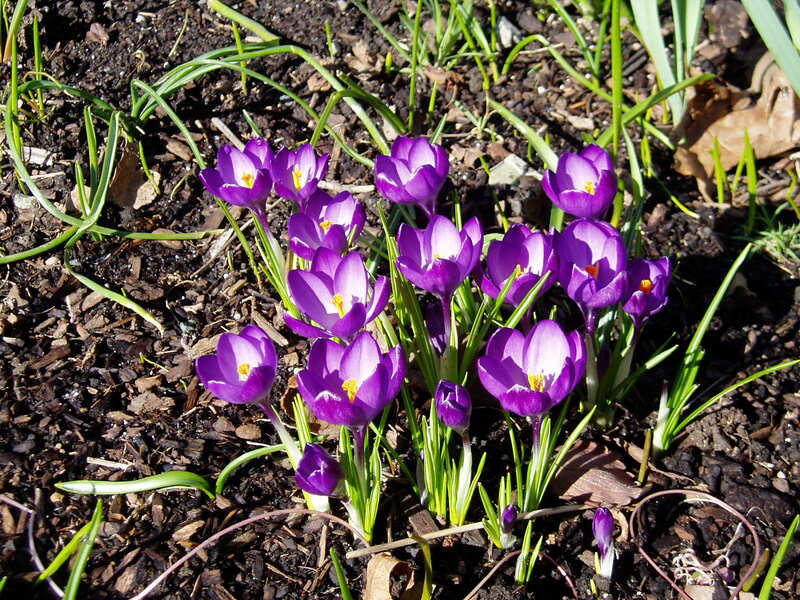 5- Crocus & Snow Crocus appear in lawns and borders during moments of February sunshine. – Snow Crocus top out at 4 inches high, so are great for naturalizing in lawns. Regular crocus are just a touch taller – – they don’t survive when the first mower cuts the grass, so they’re safer in beds. – All of the Crocus in our yard are proven drought tolerant. And yeah, I know, all of these super-early gems are called spring flowers even though, in this mild climate, they bloom before the spring equinox. Don’tcha just LOVE the promise of spring?